The SLIDE SANDAL is taking over every single outfit and every single look again this season. Get a head start on summer’s hottest shoe trend with the Simone Sandal from Waldläufer. The Simone is a modern slide sandal that you will want to wear all spring and summer. Made of natural nubuck and leather, this lightweight design is all leather lined with an adjustable velcro strap and a comfortable cork midsole. Provides a perfectly supportive fit on widths from medium to wide. 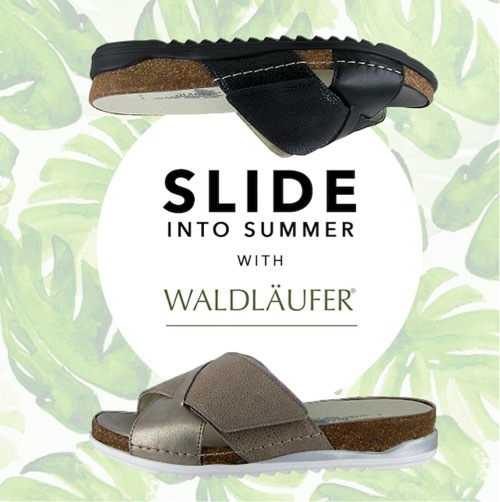 Waldläufer comfort shoes are offered as standard models for the most mature lady as well as more youthful options for sportier women or those who simply remain young at heart. Below are additional shoes for your review. In 1960, Gunter Bauer founded the Lugina shoe factory. The choice of the brand name Waldlaufer, or “Forest Walker”, was spawned from his passion for the outdoors and nature. In 1986, his son Willehad Bauer took over the management of the company and soon recognized that there was further potential for the Waldlaufer brand within the comfort shoe sector. Waldlaufer is now one of the leading names on the market for comfort shoes. 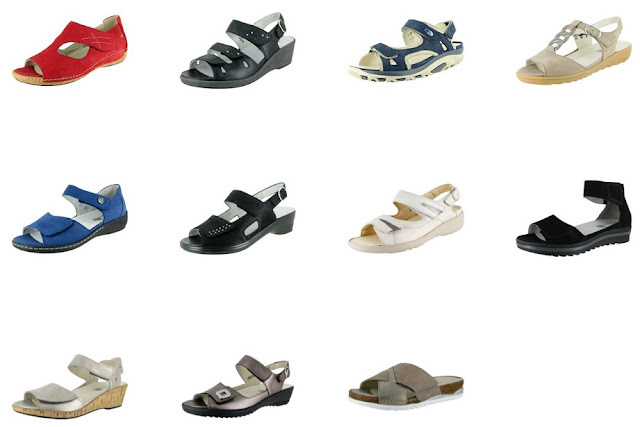 Learn about other types of shoes in our footwear terms section.